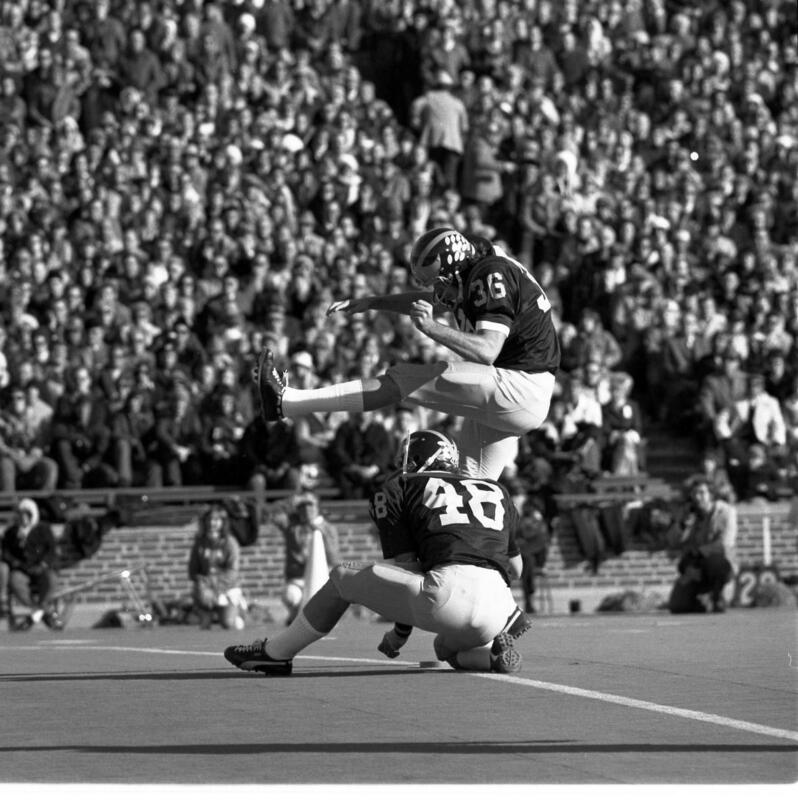 Mike Lantry kicks a field goal against Ohio State in 1973. John U. Bacon for Monday, November 27. During every University of Michigan football game for the past few years, they’ve honored a veteran, some going back to World War II. But even by those standards, Saturday’s was special. 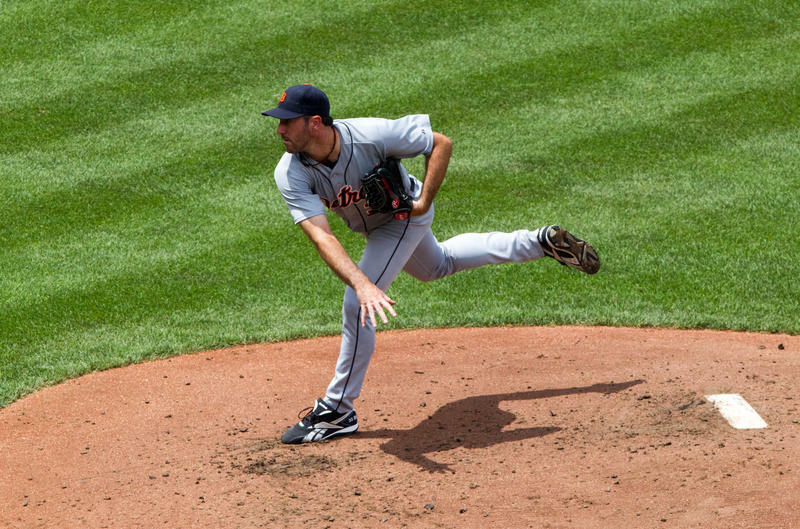 Mike Lantry grew up in Oxford, Michigan, where he starred in football and set a shot put record that lasted 50 years. After he graduated in 1966, he signed up for three years in the Army, joining the famed 82nd Airborne in Vietnam. When he returned in 1970, he enrolled at Michigan, and joined the football team. Lantry never wore his Army jacket, or talked about the war. He wanted to get on with his life, which now included a wife and a son, Mike Jr., and kicking for one of the nation’s best football teams. 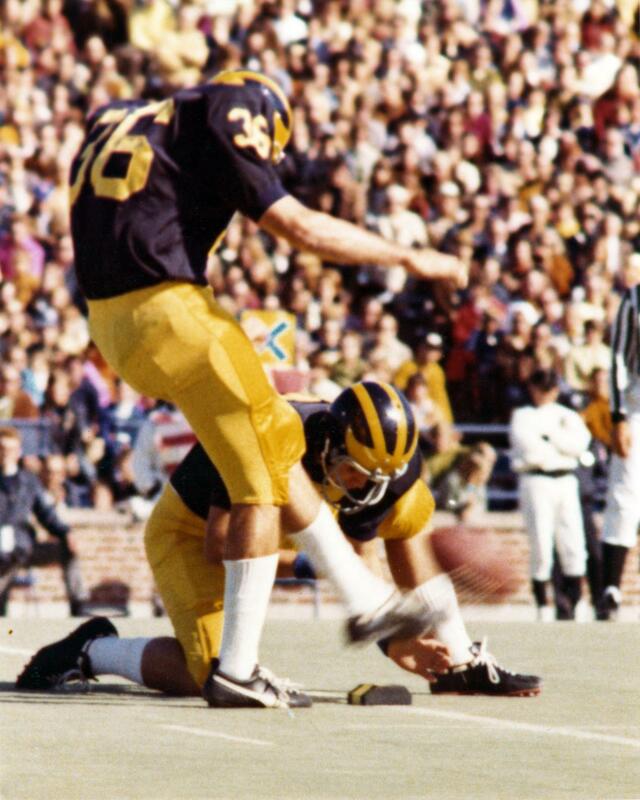 Lantry set Michigan's record for longest field goal in 1973, the same year this photo was taken. 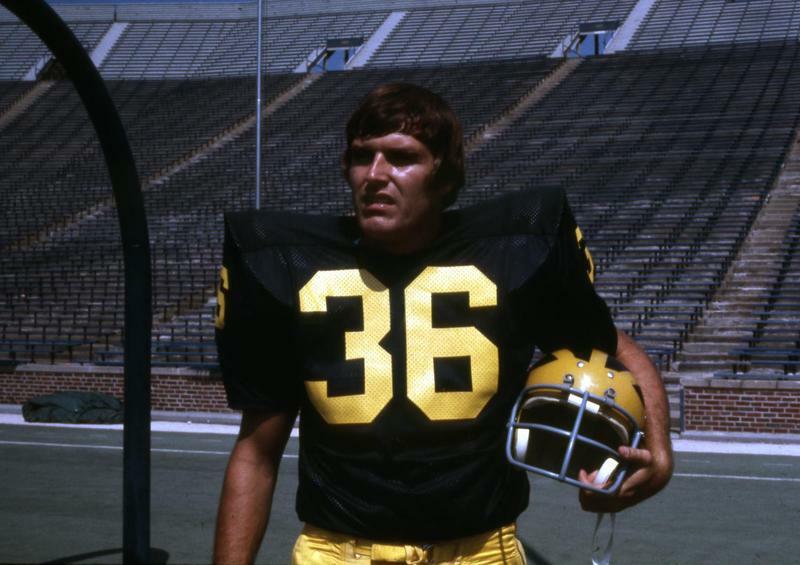 In 1973, Lantry set Michigan’s record for the longest field goal, then broke it a few minutes later – just one reason Michigan crushed its first ten opponents. That set up a showdown with Ohio State for the Big Ten title. The winner would likely have a straight shot at the national title. With the score tied 10-10, Lantry had a chance to win it, with a kick from the 44-yard line. His kick barely missed, and the game ended in a tie. For the first time in Big Ten history, the athletic directors broke the tie by voting to send Ohio State to the Rose Bowl. Michigan stayed home. The next year Michigan was just as good, once again plowing through the first ten games undefeated. Lantry set more records and had another chance to beat Ohio State with a last-minute field goal. He lined up on the far-right side of the field, and blasted the ball so high it was hard to tell if he’d made it. Ohio State fans who sat directly behind Lantry would write letters to Michigan coach Bo Schembechler asserting that Lantry’s kick was good. Mike Lantry walked back to the bench, and sat there by himself for an eternity. When the team bus returned to Ann Arbor, he sat in the back, long after his teammates got off, alone with his thoughts. After an injury ended his NFL career, Lantry started a successful business he still runs today. But Lantry had never been thanked by his country for his service, or by Michigan fans for his play. During Saturday’s game against Ohio State, the announcer asked the crowd to turn their attention to the north end zone. There, a 69-year old man with white hair and a white beard stood motionless, while the announcer re-introduced Mike Lantry to the faithful. They cheered while he told them of Lantry’s tour of duty in Vietnam, his 33 games as Michigan’s starting kicker, and all his records. The cheering grew word by word, building to a crescendo. The Michigan crowd always cheers loudly for the veterans, and rightly so, but for Lantry, the cheers were a little louder, a little longer. They understood. When the announcer finished, Lantry raised his hand, and stepped forward to the goal line, while 112,000 fans rose to their feet. They were giving him the bear hug he deserved back in 1970, and 1974. Lantry stepped back, and the moment was over. John U. Bacon is the author of eight books on sports and business. His current book, Playing Hurt: My Journey from Despair to Hope, coauthored with John Saunders, is his fifth New York Times bestseller. 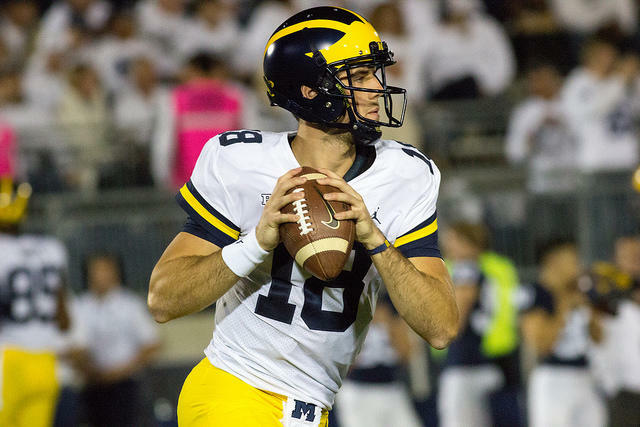 Bacon: To beat Ohio State, Michigan must "pull about five rabbits out of a hat"
John U. Bacon, Michigan Radio’s sports commentator, joined Stateside today for a roundup of the week’s sports news. Football is becoming safer, but perception of danger remains. John U. Bacon for Friday, November 17. Americans have become obsessed with concussions, and with good reason. But for medical professionals, it’s a double-edged sword: people are interested, but they also have more misinformation. 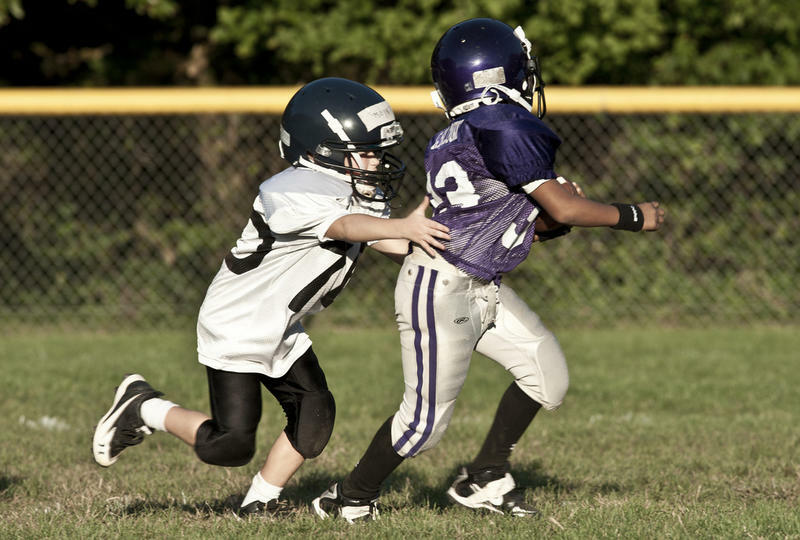 For example, concussions last only a week or two, while smaller, more frequent hits can result in chronic traumatic encephalopathy, or CTE – but the two are often lumped together.